Special Offer: Discounts of 5%, 10%, 15% and 20% are available when you order 4, 10, 50 and 100 items or more of selected products. Mesh ventilation panelling underarms and across shoulders. 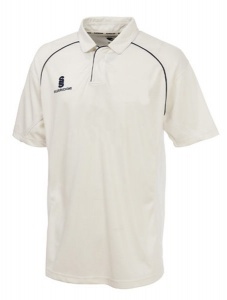 Embroidered Surridge™ logo to right chest and back of neck. Contrasting 3mm piping. YTH - 32/34", S - 34/36", M - 38/40", L - 42/44", XL - 46/48"
Bulk Order Price Discount - Don't forget your discount it based on total number of items in your basket, not just on one product . It is a % discount on your total order including any extras and will be added to the shopping cart at the end of the order process. So you can mix different products, brands, extras and still get the discount :-). See Discount tab for more information. Our discount system works in three ways. Firstly you get a discount based on the number of items you order. Second you can mix and save, ordering different items but still getting the discount based on total items in cart. For example you can order 5 t-shirts, 3 polo’s and 2 hoodies and get 10% discount off each one. Thirdly you also save on the extras, so all decorations are also discounted. So a standard embroidery is £1.95 for a single item, but if you order 10 items it would only be £1.76!! per embroidery. This means a pocket size embroidery or transfer print is from as little £1.56 each!! Also if your total order is greater then 250 items, contact us as we may be able to save you even more. Correctly digitised embroidery files are probably one of the most important parts of creating a good quality embroidery. Badly made embroidery files is often the cause for poor quality embroidery, we pride ourselves on producing first class artwork files. If you have ordered from us before and you want to use the same logo again then you won’t have to pay any artwork charges. Simply let us know in the additional information tag which logo you want using including position and size. If you have ordered embroidery from someone else and are able to get the embroidery file then we may well be able to use this. We can convert most files to one suitable for our machines. So its worth sending it over and letting us have a look. New embroidery logo setup charge is £14.95 + VAT per logo. All we need is any type of image file, so a.jpg, .tif, .png, .pdf, almost any will do. Once you logo has been made up we will keep it on file so you wont have pay for it again. So if you need an embroidery file making up simply click here and add it to your basket, if you have more then one logo to upload then add each one as a separate item. As long as you provide good quality image and its not too complex we do not normally charge for setting up Artwork transfer and screen prints. Ideally we would like to have a .ai, .eps or .pdf file, but can work from image files such as .jpg if needed. The better quality the original Artwork file is the better the end result will be, if in doubt just ask us for advise. Complex design and poor artwork quality may incur an extra charger, we would always let you know if its needed. Email over you print logo when you have placed your order quoting your order number if possible.So once you have decided what if any artwork you need setting up, simply select the ‘Click to confirm you have read Artwork tab below:’ and carry on with your order. Our standard delivery time is 5 to 10 working day’s from order confirmation, this can be longer during busy periods. If you need your items quicker or by a specific date then just let us know. We can sometime move jobs around to fit in rush jobs, so it always worth asking. Once you order has been confirmed, including all artworks approved, we will give you an estimated delivery date. 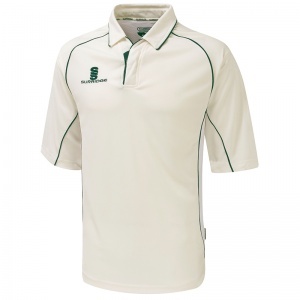 Blank sample items will normally be dispatched within 5 days subject to availability.